LITTLE-APPLEFALLS: Angels from on high! How are you, on this cold and blustery day? Another looooong bout of torrential rain for we Brits, today, and that wind certainly has teeth...hahaaa! Have you ever met an angel? I most certainly have......some of them were strangers, and others came in the guise of my family or friends......but, angels they most certainly were! I do, indeed, believe in angels.....whether they walk the earth, or come straight from heaven.....I know that they exist. is giving us a chance to let our hearts soar by creating a card that includes an angel....plus a scripture or uplifting sentiment (on the front OR the inside). Our randomly drawn winner will get to choose one of the gorgeous images that have been used by our team this week. I love this big X-cut nesting label shape......I embossed the white card with a Cuttlebug Swirls folder, and cut a smaller label from some of the K&Co. paper.........I coloured the beautiful angel with Promarkers and Spectrum Noirs. I used a Creatables die to cut out the image, but miscalculated the size of the image....oops.....which left a row of holes along the bottom of the dress! Out came a length of yellow organza ribbon which was threaded through the holes.....sorted! The gorgeous poinsettia is from a MCS CD from last year.......printed, cut out, inked and shaped........the centre was made with a tiny flower punch (two) and a yellow gem........love it! I rather like this pretty card. Please pop over to see some truly beautiful angels cards, created by our Design Team .....there's definitely a feeling of Christmas in the air......heehee! 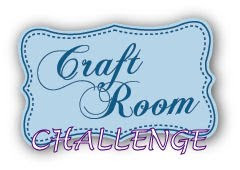 Please remember that this is a CARD challenge blog.........and have fun! This is stunning Anne-Marie. 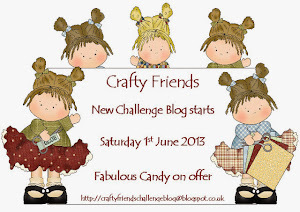 Such a lovely theme for the challenge and your card is perfect for it. I love the image and the gorgeous colours. Your poinsettia looks wonderful too. This is so pretty!! I love all the shapes!! We had a WONDERFUL time! It was a blessing to see the ministry of our missionary and then sight seeing in London was awesome! I live in the US but am Canadian, so seeing the places I've seen on TV ever since I was little (like Sandringham and Buckingham Palace) was such a thrill!! Absolutely gorgeous! Love the layout and the details. I rather like that pretty card, too. However, to describe it as "pretty" is a gross understatement. This card is GORGEOUS. So clever of you to weave the yellow ribbon through this miscut holes (serendipity, for sure), as it adds lovely texture and colour. The poinsettia is stunning and makes me so wish that I had a similar image in my stash. The layering of the flower just adds so, so much to the overall composition. This card is totally FABULOUS! What a fantastic card you have made. I love all the die cuts and that poinsettia is wonderful. Thanks for playing along with us at Created with Love Challenges. Gorgeous card Anne Marie,love your Angel and fab design. Thanks for joining us at Created With Love Challenges. Hello Anne-Marie. What a beautiful creation. Love the image. Fab papers and colours. Love all the attention to detail too. Stunning creation Anne-Marie that image is beautiful! Thanks for joining us at Gingerloft this time! What a creation. Wonderful attention to detail as usual. What you did to the dress was genius. Love the colours us used. 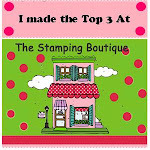 Now I have to add those nesting labels to my wish list,they are lovely. Hi Anne-Marie, your card is a beauty. Love the image and those fab die-cuts. 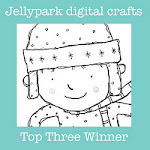 Thanks for joining in the stitching challenge at Gingerloft this fortnight. Thanks for joining us at Robyn's Fetish! I would never in a million years, think that your organza trim was an oops!! Amazing how some mistakes turn out so beautifully!! Your card is gorgeous and the poinsettia is lovely! I agree completely on knowing angels! Some people are just too amazingly good to be anything but!